I tend to get quite excited about every new publication, but I have to admit some special feeling for this one! 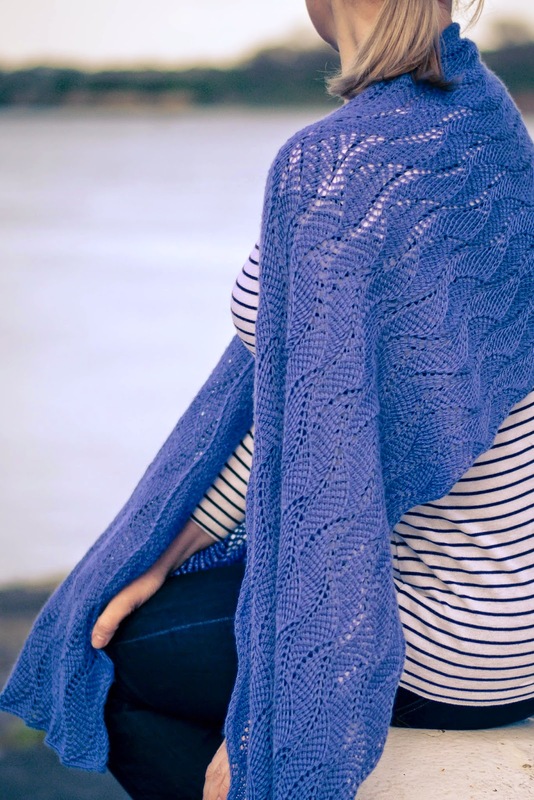 Of Sales and Waves is a lacy wrap worked entirely in a beautifully undulating Tunisian crochet pattern. The stitch pattern is not so different from the chevron stitch I have already used in Purple Gold and Listopad Stole, but it is amazing how different it looks! As in all of Cup of Stitches Tunisian crochet patterns, we assume you have knowledge of basic Tunisian crochet techniques, specifically how each row is worked as two separate passes, how to work the Tunisian simple stitch and full stitch increase, how to decrease stitches in the return pass, as well as how to bind off your work. You may find this glossary helpful. 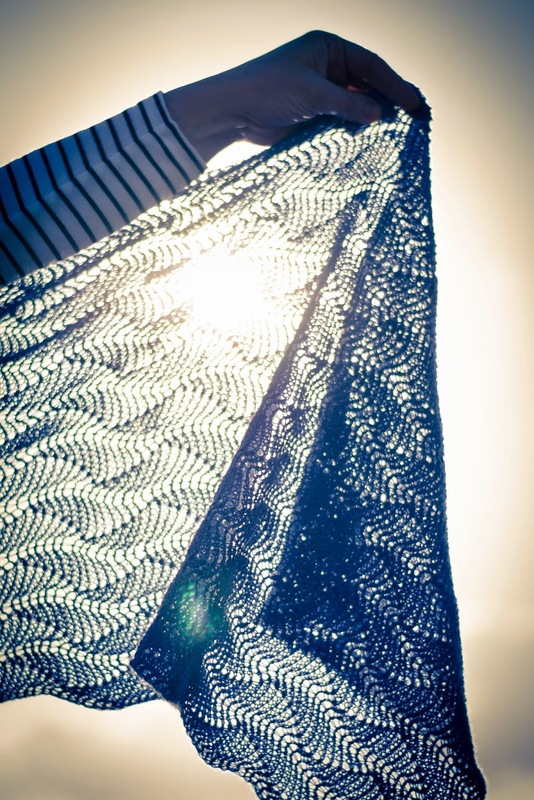 The pattern is now available on Ravelry, Etsy and Love Knitting.